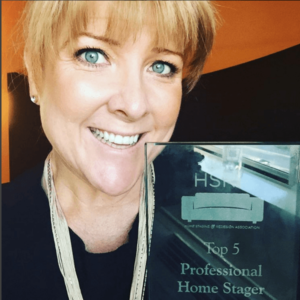 We at IIHS are incredibly excited and proud to share with you that our principal, Naomi Findlay, also owner and creative director of Silk Home, was awarded the title of “International Top 5 Professional Home Stager” during a recent trip to Dallas, Texas! Naomi was invited as a guest and keynote speaker at the Home Staging Summit held in November 2015, where the award was announced. Naomi says she is extremely honoured to receive the Award, and it is testament to the strong team she has alongside her at Silk Home. We at IIHS are excited as the award comes at a time when the increasing profile of professional Home Staging is becoming recognised as a strong team member of the real estate industry and property team. Programs such as The Block on the Nine Network have really helped home owners to not only improve the everyday look and feel of their homes, but importantly they understand the importance of Home Staging and Styling when it comes to selling their property for more. Naomi has been staging and styling property for over 6 years. It was through the increase in awareness of Home Staging and the benefits of staging a property for sale, that a need for education in the Home Staging Industry arose, and the International Institute of Home Staging (IIHS) was born. Through IIHS Naomi is training the Home Stagers of tomorrow, including a number of high profile contestants from programs such as The Block! Naomi has recently announced that she is currently working to expand the program offering at IIHS to include programs for everyday people and investors wanting to achieve amazing results when selling their property.